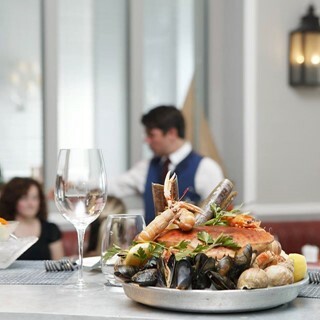 GB1’s philosophy is quality and simplicity, offering a fantastic choice of the finest and freshly caught seafood from Brighton’s shores along with classic English cuisine, with contemporary touches, constantly updated by Executive Chef, Alan White’s brigade of passionate and inventive chefs. 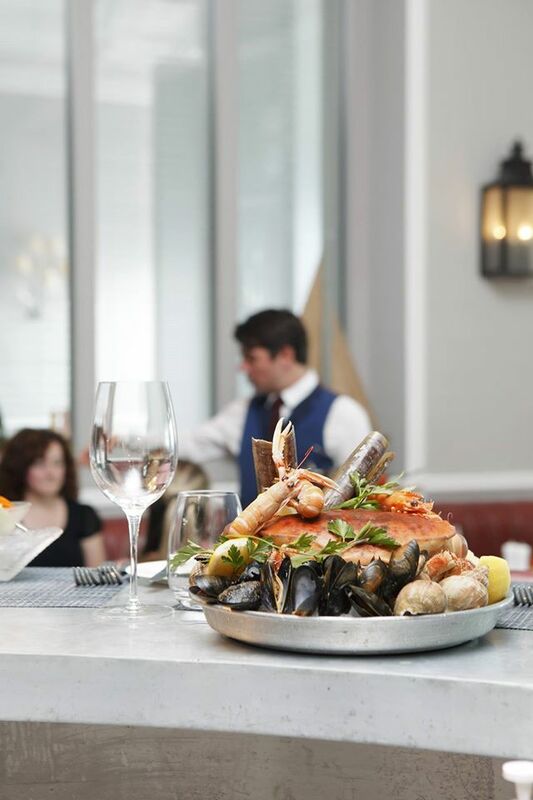 The striking Lobster Burger is a must try at GB1 as is the Fruits De Mer and an Oyster or two. The seasonally changing menu also boasts meats from the grill and classic Sussex favourites along with vegetarian dishes too. Sometimes we all have a reason to go big and tonight we are dining at the Grand. This beautiful, regency building is one of Brighton’s more up market venues, adding some class to Brighton’s seafront. Much more than wonderful architecture, fancy suites and sea views, we have decided to take a stroll down the front to find what GB1 – seafood restaurant and bar – has to offer in the steak department. We are not so used to the greeting we get on arrival. The Grand oozes history and importance; this place feels special, and the staff will do their best to make you feel the same. Had the full afternoon tea - though the quality of each item of food was absolutely delicious, we waited over 40 minutes to be served which, for a room with 10 tables, was very long and disappointing. A wonderful afternoon tea. Enjoyed it hugely. Forget the price, enjoy the moment. Absolutely beautiful restaurant, the conservatory area in particular. We had afternoon tea which was lovely. Finger sandwiches, tea and so much cake! Lovelty food, great value for money. We have had afternoon tea here several times in the past but in this instance our experience was slightly disappointing. The service was slower than usual and we waited more than half an hour for initial drinks to be served. The staff were very good but perhaps overstretched on this occasion. Once it arrived the food was good with the exception of the clotted cream which accompanied the scones. This was solid and impossible to spread. The problems we had have since been addressed and we will return during our next visit. This review is for dinner only, lunch and breakfast were great . Service was a little gruff and lacking warmth. For example not one member of staff asked us if everything was ok or thanked us for coming? Probably the most disappointing and underwhelming experience, we were completely forgotten about re seating , our table was given to another party meaning we stood in the bar , no seats, for nearly 40 minutes, our champagne was forgotten, we asked 3 times, neither our sandwiches nor cakes were explained, our waitress was at best curt at worst surly, every interaction was a struggle. Worse the portions of the sandwiches  were derisory, neither jam nor cream was sufficient for the number of portions and our request for more wasn’t met. I had been looking forward to treating my nieces to what should have been a perfect afternoon, it so very wasn’t. We had a fabulous time, the food was delicious and the service was excellent. I would highly recommend GB1 for Sunday lunch. I was somewhat surprised there were no table clothes. Very impressed when our soufflé desert collapsed we were offered another one free of charge & also complementary tea/coffee. Thank you. The staff were extremely helpful, informative & polite. A wonderful venue for that special occasion or for a much deserved treat. All lovely, and we were beautifully looked after on Mother's Day, especially as some of the party were late due to traffic. Thank you. Alas the most disappointing aspect of a weekend in Brighton with my parents. Whilst initially impressed with the pro-activeness of a member of your team offering the option to arrive at 10.30 as the table was required at noon to lay for afternoon tea, upon arrival whilst tea and coffee orders were taken and delivered promptly, it took over 1 hour for the breakfast to arrive The toast was rock hard (i.e could have been standing for that hour). It also felt as though we were in the way in that all around us tables were being laid for afternoon tea. A VERY DISAPPOINTING experience. Lovely decor and atmosphere. Delicious scones. Lovely afternoon. Would recommend. Thank you for a very enjoyable experience, it was a real treat and your staff were lovely, as was the food. It was lovely and the service was very good, but we weren't in the Seafood and Oyster bar; we had afternoon tea next to the terrace. Fantastic Mother's Day Celebration! Our waitress who served us was absolute star. Thank you!